Bregman shows that we can construct a society with visionary ideas that are, in fact, wholly implementable. Every milestone of civilization - from the end of slavery to the beginning of democracy - was once considered a utopian fantasy. New utopian ideas such as universal basic income and a 15-hour work week can become reality in our lifetime. 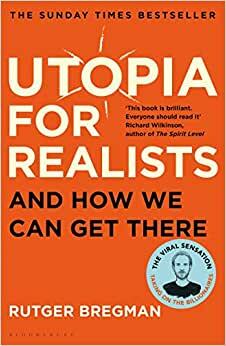 Start reading Utopia for Realists: And How We Can Get There on your Kindle in under a minute. Where is the vision, the ambition, the belief? Into this bleak picture drops a book and an author bristling with hope, optimism and answers. Utopia for Realists has taken Holland by storm and could yet revitalise progressive thought around the globe. Bregman has a vision. And it's a pretty clear one. The result is a hybrid that's reminiscent of the New Yorker's Malcolm Gladwell: lots of compelling anecdotes, backed up with information from an array of surveys and research papers delivered in a tremendously readable style. But there's also an extra layer of idealism with Bregman, a belief that people are essentially good and that all it requires is a rational analysis of the facts and good governance to make the most profound and lasting changes. 5.0 out of 5 starsShould be mandatory reading for anyone remotely interested in how we can make this world a better place for everyone. This is not just about universal income, it is a book that challenges almost every antiquated notion about what our affluence is built on. It is a book pointing the way towards an alternative future, a world were we can realistically move towards an end to poverty and inequality. The author bridges the gap between history and present reality, without pontificating, carrying not just many convincing arguments for his beliefs, but doings so with both humility and insight into the human condition. Brilliant. I wanted to better understand UBI. This book did that for me and extended my thinking further into new possibilities. Not a heavy read by any means. Lively stories. Big ideas. Challenging views. It's a great read to go with two other books. 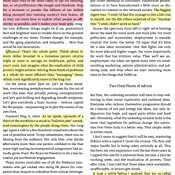 Factfulness by Hans Rosling and The Complacent Class by Tyler Cowen. In the middle of this triangle of books, you'll get a clearer and more optimistic view of the real world we live in. Get your highlighter ready, you'll need it. We, I mean the thinking we, all know that our Western society has lost the way in the world of over seven billion people. Our leaders no longer lead, biological nature of our society is being ignored and the early shocks of the Anthropocene era are upon us. In this book the author not only explains how we arrived where we are but also, refreshingly , what can be done about it. Recommended to everyone. James Darcy. Author of "Rabid Hound". I discovered new concepts in this book which really opened my eyes to the possibilities of an overhauled economic system which eradicates the alarming growth of inequality in our current system. For those prepared to keep an open mind and think because our current path does not seem to be leading us to an enlightened future.